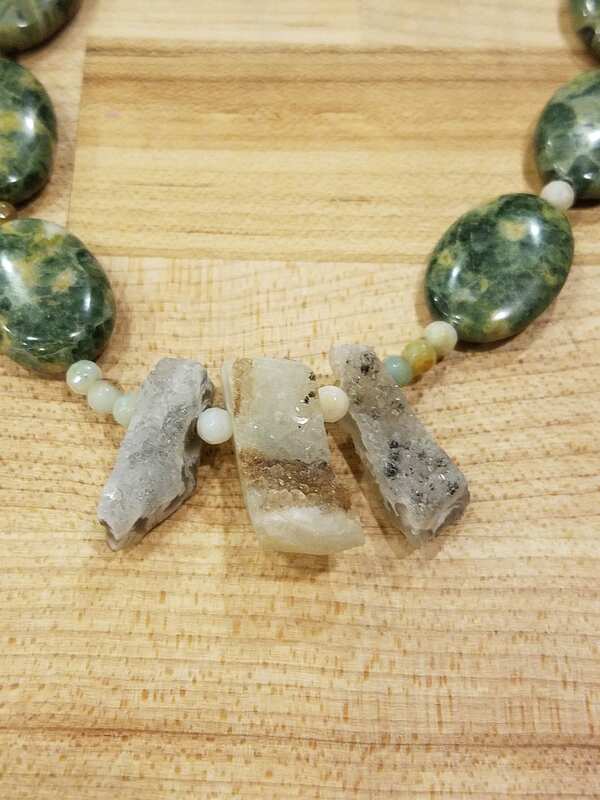 Green agate beads and geodes necklace. So pretty and awesome ! They sparkle ! 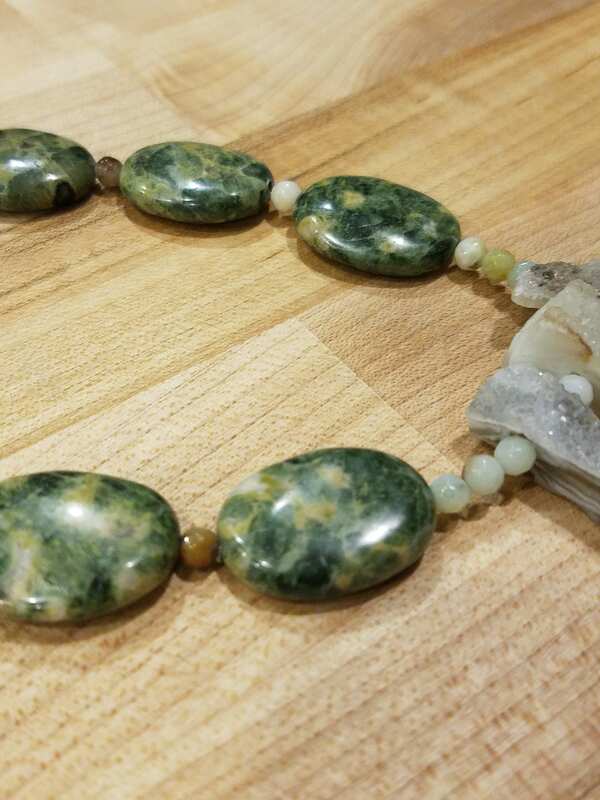 The necklace is 17.5 inches long. Sterling Silver clasp. 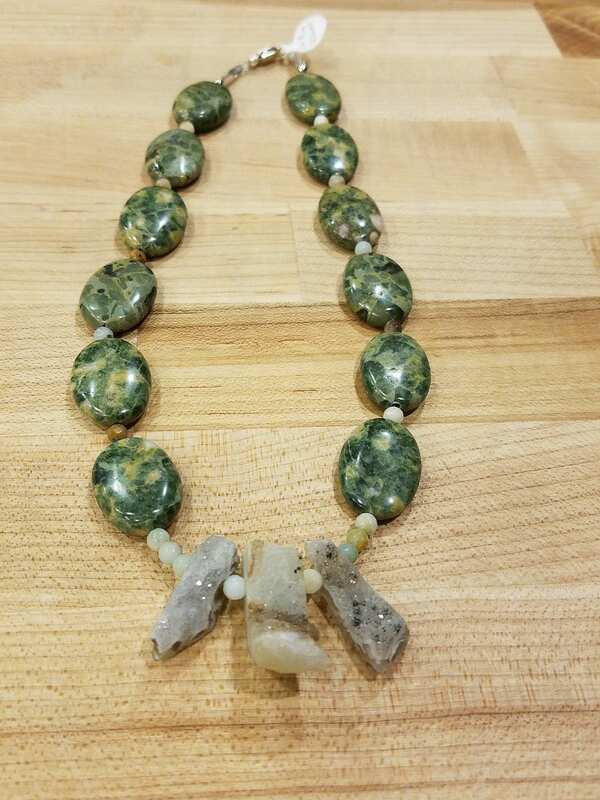 These green agate beads are so pretty , and then the accent of the geodes ! It's a must have ! 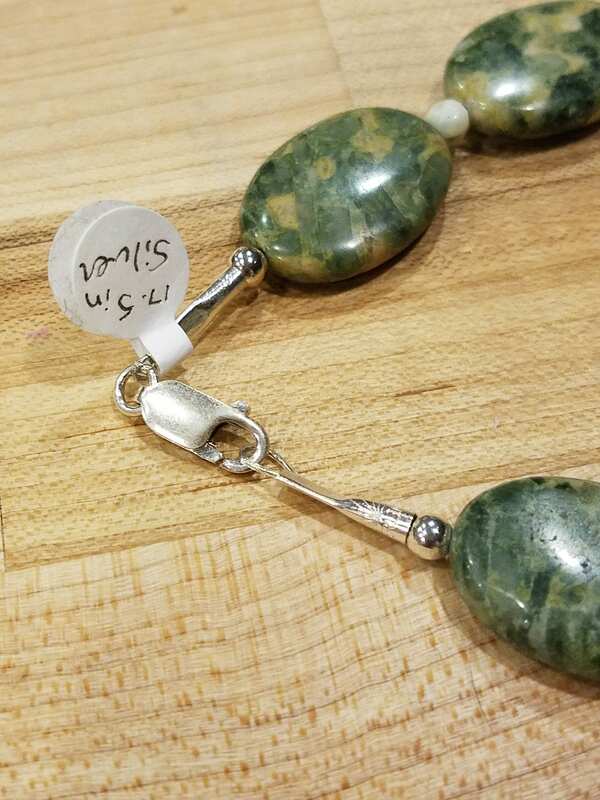 The beads are 1/2 inch wide and just over 3/4 inch long. The middle geode is an inch long and 1/2 inch wide. 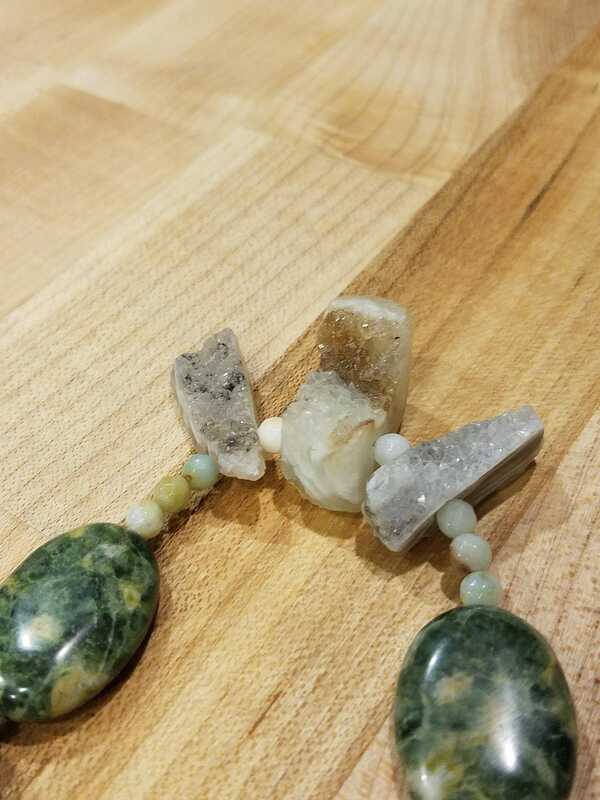 The geodes have different colors of grey, beige, white, and brown.